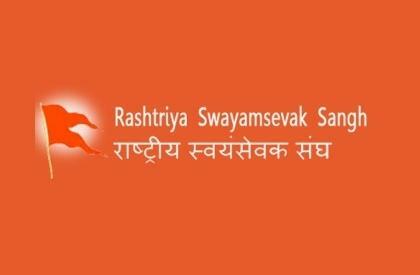 RATLAM: A Rashtriya Swayamsevak Sangh (RSS) member was allegedly found murdered in Ratlam district in Madhya Pradesh on Wednesday. The body was found in the fields at Kamed. The bike, torch and belt were found lying at a distance. There was an attempt to burn the face, apparently to avoid early recognition of the body. The victim's throat was slit by a sharp-edged weapon, suggest the injury marks. Family members said that the victim had gone to the fields later in the night and had a conversation with Ramesh Rathore who owns neighbouring fields till 1.30 am in the night. When the deceased' father called him in the morning, there was no response. Subsequently, they went to the fields and found him dead. The police have registered a case and have begun investigation. Contrary to earlier reports, it has now turned out that victim was not RSS' functionary Himmat Patidar. Rather, a person--Madan Malviya was killed and the face was burnt. DNA test report confirmed that Malviya was murdered. Patidar is now the prime suspect in the case of murder. Police have announced a cash reward and have launched a hunt to nab him. In the last few days, there have been several incidents of murders of BJP leaders and their asociates. The BJP has taken to streets against and tried to corner the Kamal Nath government over law-and-order. BJP leader Prahlad Bandhwar was shot dead in Mandsaur. In this case, Manish Bairagi, a BJP worker was arrsted. BJP leader's kin Chhatrapal Singh, 34, was later murdered in Gwalior. However, police have arrested his relative, Uday Bhan, who allegedly committed the murder over a financial dispute. However, there has been no clue about murder of BJP leader Manoj Thakre who was killed in Barwani. Also, an Indore-based businessman who had links with BJP leaders, was killed recently. In this case, the police have arrested gangster Sudhakar Maratha and his associates. Sandeep Agarwal alias Sandeep Tel was killed at the behest of his own partner Rohit Sethi over financial dispute--around 19 crore in cable TV business. Sandeep had put the money in a cable channel but he was later removed from the project. When he asked for money, Rohit planned the murder. Gangster Sudhakar Rao Maratha who was in Rajasthan jail was part of the conspiracy and was brought to Indore jail for questioning. Then, the remaining accused were also arrested.